All products made by Natasha’s Cakes are subject to the following terms and conditions. Allergen information: cakes contain nuts, milk, egg, and wheat flour. Cakes are made to be eaten within 3 days. 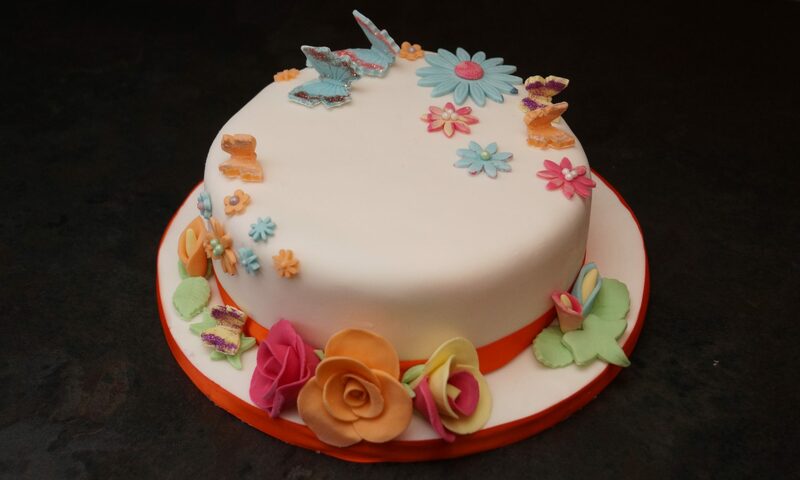 Icing (sugar paste covering iced cakes) is not designed to be refrigerated and as such cakes with this icing should be stored in a cool dry place, preferably in the box they were supplied in, refrigeration may cause colours to run. All cakes are custom and will not be an exact reproduction of the cake in the picture or photo. Risk of damage to or loss of the goods passes to you at the time of delivery to you, or if you fail to take delivery at the agreed time, the time when I tried to deliver. You will only own the goods once they have been successfully delivered and when I have received cleared payment in full. Goods supplied are not for resale. As my cakes and food products are made to order and personalised to your specifications, orders cannot be cancelled once the cake has been made. However, should you wish to change or cancel your order at any time please contact me in writing immediately and I will do my best to meet your needs. I reserve the right to charge an administration fee charge of £10 on cake orders if you cancel your order or amend it. There will be no refund for cakes cancelled less than five days before collection or delivery. – one or more of the goods you ordered was listed at an incorrect price due to a typographical error or an error in the pricing information received by me from my suppliers. If I do cancel your contract I will notify you by e-mail and will re-credit to your account any sum deducted by me from your credit card as soon as possible but in any event within 30 days of your order. Natasha’s Cakes shall not be liable for any consequential loss of the customer whether this arises from a breach of contract or any other way. Natasha’s Cakes’ total liability for any claim howsoever arising shall not exceed the price paid by the customer for the goods supplied by Natasha’s Cakes. Please note, pictures are for general illustration only and the product may vary from that shown. Your statuary rights are not affected by any statement contained in this document or my website. Any refund given for disputes regarding a cake design or production of a design is completely at the discretion of Natasha’s Cakes and is not automatic. Full refunds will never be given for any cake which has been consumed regardless of dispute, as consumption of the cake is viewed as your acceptance that the cake is adequate for the purpose for which it has been supplied. All cakes are photographed and we do not accept any responsibility for loss or damage to the cake or items with the cake once the cake has been collected or delivered, or for loss, damage or non-delivery under unavoidable or exceptional circumstances. This in no way affects your statutory rights. Cake prices are shown for collection only. Delivery is subject to availability; any arrangements for delivery may be subject to an additional charge and change, however prior notice will be given where possible. Cakes are to be collected from my premises at a prearranged time and date only.